If its third-party games you are looking at, then they run almost at par on the Xbox One X and PS4 Pro. Yes, there are times when third party games on the Xbox One X run at better resolution than the PS4 Pro, but it isn’t a deal breaker. Your decision should be based on two factors only – what console exclusives you prefer and what console your friends are playing on. The latter is only if you want to play online. 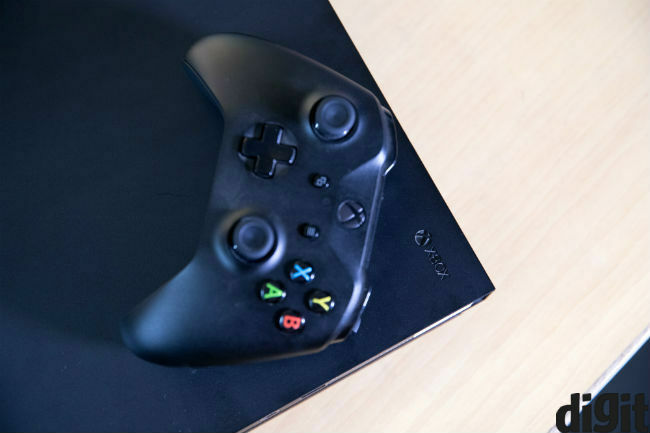 Microsoft has a slew of features, such as backwards compatibility, 4K Blu-ray playback, Game Pass and more to make the console an enticing offer. Sony has God of War which launches on April 20 and Microsoft doesn’t have any AAA exclusive set to launch in the near future. There are games like State of Decay 2, Ori and the Willow of the Wisps, but they aren’t launching anytime soon. If raw performance is what you are looking for then yes, the Xbox One X is a fantastic device at the price. If you have the original Xbox One, then upgrading to the Xbox One X is a no brainer. The Xbox One X is the flagship console in Microsoft’s gaming portfolio. It is priced at $499 (plus tax) in the US, which is approximately Rs 36,000 based on the current dollar to rupee conversion. 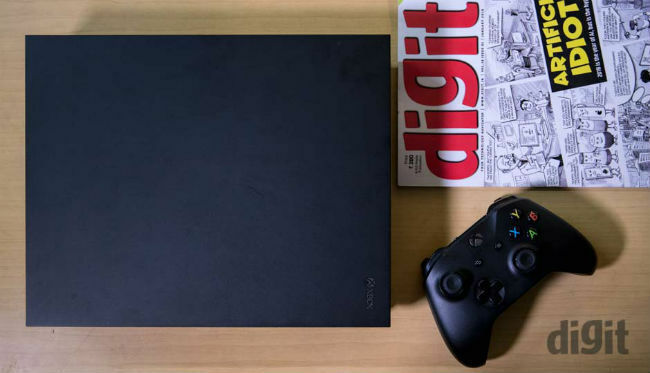 In India, the console is priced at Rs 44,990 but can be purchased online for about Rs 41,000. If you chose to pick it up in the grey market, you can get it cheaper but you lose out on warranty. The Xbox One X competes with the PS4 Pro in India which is priced at Rs 41,990 but is available for about Rs 38-39k. Spec-to-spec comparisons between the Xbox One X and the PS4 Pro are all over the Internet. What we will talk about here is whether you should get one? Is it worth it? What are the alternatives and which is the right console for you? Of course, we’ll keep the Xbox One X at the centre of it all, since this is the Xbox One X review. Kicking things off with the build and design, it isn’t drastically different from the Xbox One S. It isn’t the pearl white colour we’ve seen on the One S. Instead its matte black, and we like the colour. The console can be propped vertically too, but you will have to purchase an additional stand for that as the Xbox One S vertical stand isn’t compatible with the One X. Just like the One S, the on button is a physical button with a nice click to it every time you switch it on/off. In terms of connectivity options, it is exactly the same as what you have on the One S. You have an Ethernet port, optical out, IR port, 2 USB 3.0 ports, an HDMI-in port, HDMI-out and the power socket. There is one USB port on the front as well for easy access. There is no Kinect port on the console and if you want to use the Kinect, you will have to purchase a separate adapter. Microsoft has officially stopped production of the Kinect, which should tell you everything you need to know about the company’s motion sensing gadget. Since the positioning of the ports is exactly the same as the One S, you really don’t need to rework your home entertainment setup if you are upgrading from a One S to a One X. There is also a slight bump above the HDMI out port so as to make it easy to identify by touch. Another cool feature is that all the vents are at the back of the console, unlike the One S which has its vent on the top. This means you can place your set top box on top of the console without having to worry about ventilation. Overall, the build and design of the Xbox One X is very premium. It is heavy, but that isn’t really a bad thing. The console is compact and will fit into most entertainment centres with ease. The controller is the same as the one you get with the Xbox One S, but in black to match the console. The controller is a Bluetooth controller and the process of pairing it is the same as the original Xbox One. It has a textured back which adds to the grip on the controller. The Xbox One controller was one of the best in terms of ergonomics and this holds true for the One X controller. Microsoft hasn’t changed anything with the controller except the colour. The only downside to the controller is that it still runs on two AA batteries, which is a bummer. You will have to invest in the play and charge kit if you want the controller to function like a rechargeable one. There are more than 100 games that are Xbox One X enhanced, so yes, if you pick up the console, you will have a large library to test the new hardware. A game like Rise of the Tomb Raider will give you the option of 4K HDR at 30FPS or play the game in 1080p at 60FPS. The performance of Rise of the Tomb Raider on the Xbox One X is fantastic and a hallmark of what the console can do. Another game that shows off the HDR capabilities of the console is Assassins Creed Origins. There are no loading screens in between and exploring Egypt is fantastic in 4K. First party games like Halo 5, Gears of War 4, Forza 7 and Forza Horizon 3 among others looks stunning in 4K HDR. We didn’t experience any heating issues or random crashes on the console. There were times when we faced Wi-Fi issues, but restarting the console solved that. This should be the deciding factor for you. The Xbox is home to some fantastic exclusives, such as Gears of War, Halo, Cuphead, Ori and the Blind Forest, Forza, Sunset Overdrive and more. If you do pick up the Xbox One X, you won’t be able to play the upcoming Death Stranding, or Sony’s highly acclaimed God of War, or the Uncharted games, Last of Us and more, for obvious reasons. If you want to play online with your friends, chances are you will get the console they have. What exclusives you prefer and what consoles your friends have, should be the number one deciding factor for you. It has to be mentioned though that PlayStation has a larger library of exclusives when compared to Xbox. There is a huge debate online as to whether backward compatibility is all that it’s made out to be, and I think it is. There are a lot of Xbox 360 games that I have and I can play them on the One X, with backwards compatibility. Some games like Red Dead Redemption and more have been optimized to take advantage of the One X making them an attractive proposition if you haven’t played them. You can also revisit them to see how they look in 4K on the console. Xbox 360 games are pretty cheap online and with backwards compatibility are a great value for those that are not looking to spend a lot of money on games. Sony, on the other hand has made it clear that backwards compatibility is not something they are considering with the PS4. Another interesting proposition for Xbox gamers is Microsoft’s Play Anywhere initiative. If you like gaming on your PC and Xbox One, then Microsoft has you covered. When you own an ‘Xbox Play Anywhere digital title’, it’s yours to play on both Xbox One and Windows 10 PC. Needless to say, that all upcoming Xbox One exclusives are play anywhere games including the recently launched Sea of Thieves. Both, the Xbox One and the PS4 support external hard drives through USB ports. You have to make sure that the external drive is USB 3.0 compatible though. Be it a mere 500GB or a 4TB drive, you can expand the storage of your console by simply plugging in an external drive. It should be noted that the Xbox One X games can get pretty large when it comes to download and install sizes. The console has a 1TB HDD built-in. If you plan to store a lot of games, you may want to invest in an external HDD. Home entertainment is one place where the Xbox One X and the One S trump the PS4 and PS4 Pro. To begin with, it has 4K HDR Blu-ray support, which competing consoles don’t support. It also supports Dolby Atmos in case you have a compatible home theatre system. Both consoles support Netflix and Prime Videos. To play games online you will need an Xbox Live Gold membership. You will get a 14-day free trial when you pick up the console, but here is why you should consider sticking with it. 1. You get 4 free games every month with your Gold membership. That includes 2 Xbox One titles and two Xbox 360 titles, which you can play using backwards compatibility. 2. You can play multiplayer online games with your friends. 3. You get special discounts on games every month. Xbox Live Gold membership is priced at Rs 699 per month, or you can pay Rs 3999 for 12 months in one go. Sony has something similar on offer. You get two PS4 games with your PS Plus subscription, along with the ability to play online multiplayer games. You also get PS Plus special discounts. PlayStation Plus membership is priced at Rs 599 per month, or you can pay Rs 4439 for 12 months. There is also a quarterly subscription, priced at Rs 1869. Xbox Game pass is a Netflix-like subscription service for games. You pay Rs 699 per month (this is separate from your Gold subscription) and you get access to a large library of games (more than a hundred) to download and play. The library is refreshed every month (just like Netflix). This doesn’t mean that all the games change every month. A few are added and a few are removed. If you like a game that you are playing with Game Pass and would like to own it, you will get it for a 10 percent discount. This is a great option for those that are new to gaming and new to Xbox and want instant access to a large library of good games and don’t want to buy them overnight. Also, Microsoft has said that all first party games will be available as a part of Game Pass from day one starting with Sea of Thieves. Sony doesn’t have such a service on its platform. Xbox One X vs PS4 Pro: Which one should you consider? If its third-party games you are looking at, then they run almost at par on both consoles. Games like Rise of the Tomb Raider give you the option to run at 1080P 60FPS, or 4K 30FPS on the PS4 Pro and the Xbox One X depending on the display at your disposal. Since a lot of the game engines these days present a dynamic resolution, the resolution is higher on the Xbox One X. if you are playing on a 1080p TV, then this shouldn’t make a difference to you. On a 4K TV the difference is noticeable only to one with a trained eye. To the average consumer, we don’t think it will make a difference. Games like Assassin's Creed Origins, Far Cry 5 and Doom run at a higher resolution on the One X when it comes to resolution but like I said, it won’t make a difference to you unless you know what you are looking for. Should you buy the Xbox One X? Well, that is the million-dollar question. To answer, I’d like to reiterate that if its third-party games you are looking at, then they run almost at par on both consoles. Yes, there are times when third party games on the Xbox One X run at better resolution than the PS4 Pro, but it isn’t a deal breaker. Your decision should be based on two factors only – what console exclusives you prefer and what console your friends are playing on. The latter is only if you want to play online. 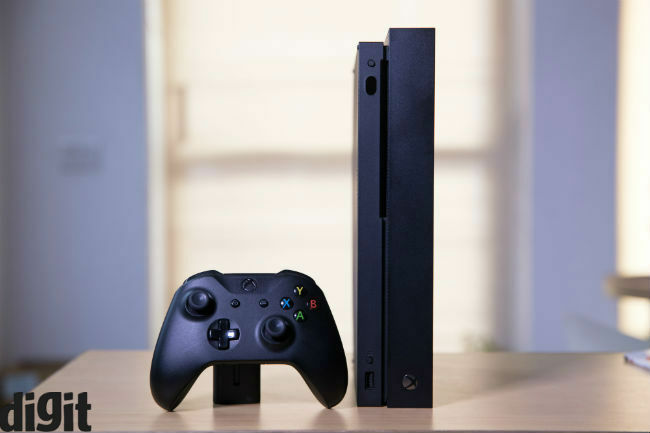 Microsoft has a slew of features, such as backwards compatibility, 4K Blu-ray playback, Game Pass and more to make the console an enticing offer. Sony has God of War which launches on April 20 and Microsoft doesn’t have any AAA exclusive set to launch in the near future. There are games like State of Decay 2, Ori and the Willow of the Wisps, but they aren’t launching anytime soon. If raw performance is what you are looking for then yes, the Xbox One X is a fantastic device at the price. If you have the original Xbox One, then upgrading to the Xbox One X is a no brainer.